Christmas morning we got up and went skiing at Brighton. It was soooo cold! and i was kind of dreading it. But it turned out to be way fun. I absolutely love how much snow we had in Utah during the break. It was so much fun. We went one night to see the lights at Temple Square and it was gorgeous! (and cold and snowing) but lots of fun! We played in the snow one of the days we were there. 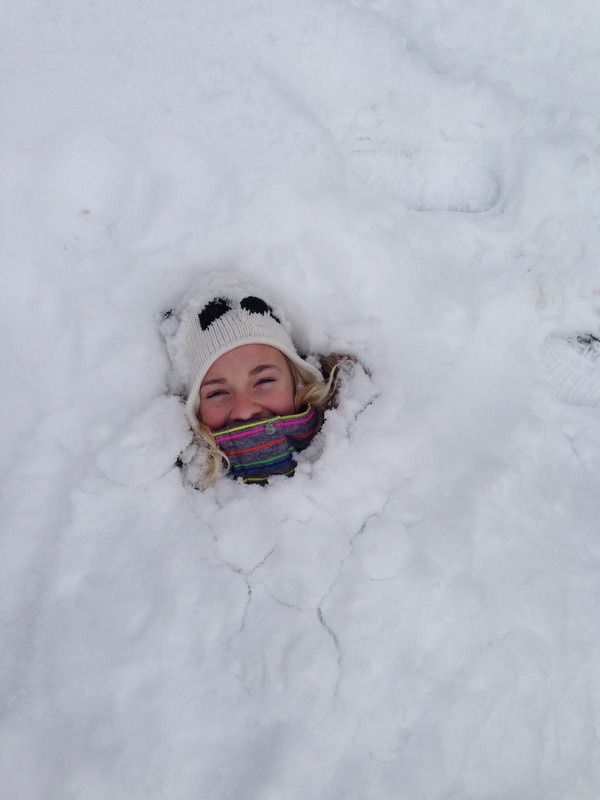 And of course we buried hallie in the snow! She's a good sport. We also went sledding down our drive way... which is not very steep at all. But we are easy to entertain. More skiing... This pic was at Deer Valley. Love that place so much. We stayed at Devin's family's cabin the night before and then walked right out to the ski run in the morning. Perfect! This cute girl went skiing for her first time and she was very brave. Especially because we started her out on a big scary hill. 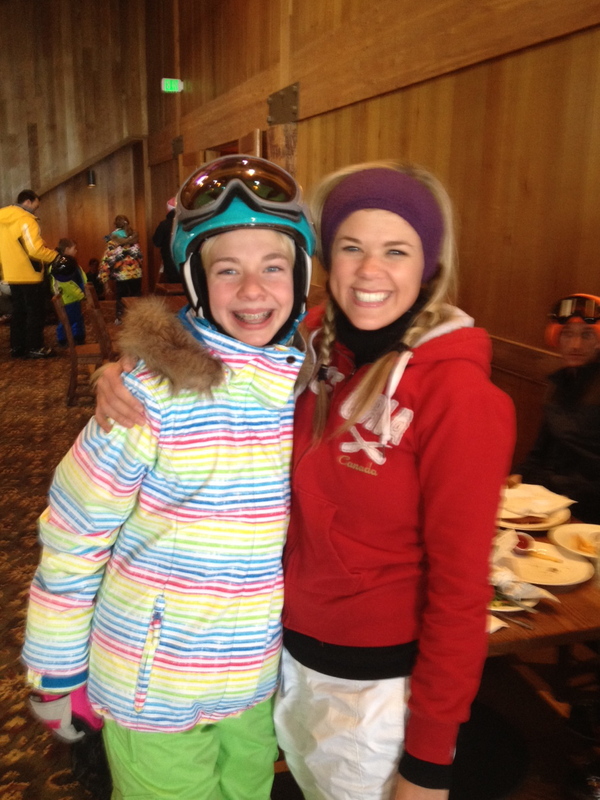 But she lived to tell the tale and LOVES skiing now. So glad we didn't scar her for life. And one night I hung out with ash, brad, and my dad while Dev was at his house. So of course we went to the grocery store at midnight to get muscle milk, gas x, and doughnuts. I was a little hyper and thought I would share this pic of me bein cray cray. What is your fave ski resort? ?